They said, being very wrong. The short-form content advice was standard from the very beginnings of SEO up until fairly recently. It was assumed that modern audiences just didn’t have the patience for long-form content, that they wouldn’t stick around long enough to justify the work involved, and anyway, wasn’t Facebook pivoting to “Video First” anyway? As it turns out, almost every piece of that advice was dead wrong. Modern audiences fo just fine with long-form content, and if you make it worth their time, they will absolutely stick around. And that Vidoe first thing turned out to be one of Facebooks worst ever decisions. Long-form content can be an enormously effective tool in gaining you links and traffic. But only if you do it well. Bad long-form is almost worse than not doing it at all. So let’s talk about long-form content. What is it? How does it help you gain traction? And how can you make sure you’re doing it right? The answer here really depends on who you ask. Some experts will tell you that long-form is anything over 4000 words, veering into E-book territory. And while e-books can be valuable in terms of both traffic and website monetization, we aren’t going to look at them just yet. For our purposes, we’re talking long-form articles, or anything 1500 words or longer. 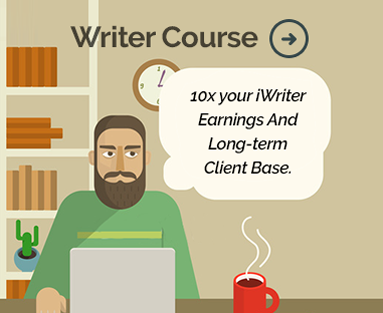 Word counts can be hard to visualize if you aren’t a career writer, so think of it like this. 500 words are about one printed page, single-spaced. It’s quick and easy to digest, but not going to give much in terms of in-depth information. 1500 to 200 words, and beyond, is admittedly far longer, coming in at between 3 and 4 printed pages. But that amount of space lets you really dig into your topic, providing detail, examples, and explanation in a way that short form simply doesn’t allow. What’s the Benefit of Long Form? Long form does come with its own set of complications. First, writing 1500 words is a lot harder than most people realize. But the challenge really isn’t the length. It’s writing 1500 words that are all worth reading. Millennials, that oft-maligned age group, have been accused of being incapable of focusing long enough to take in long-form content. Turns out, they absolutely can, they just want it to be worthwhile. COnsumers of all ages, but especially millennials, are very conscious of having their time wasted, so if you can’t make your long-form articles worthwhile, you aren’t going to gain the traffic and views you’re after. If you can do it well, however, long form has a ton of benefits. Google is notoriously tight-lipped about their algorithm, but one thing we know is that longer content ranks high. Now, no one is quite sure why, because the specifics of the monster search engine are locked up tighter than Fort Knox. But what we do know is that 2012 study found that the top ten results for more than 20,000 keywords had one thing in common: length. Each of the results was above 2,000 words. Shocking at the time, because internet analysts were still convinced that no one was going to read anything over 140 characters. If you can write at length about a topic, and do it in an engaging way, chances are you one of two things: a professional copywriter with a penchant for good research or an expert. Your average viewer assumes expert. Long form content gives the impression that you know your stuff. You are delivering deeper than surface information that the average person simply doesn’t know, and that makes you an authority. Information coming from an authority is more likely to be shared on social media, more likely to be taken seriously, and more likely to be revisited should more questions on the topic arise. It’s fairly well known that if you can keep someone on your site for longer than ninety seconds, you’re more likely to keep them indefinitely. A long-form article of say, 2,000 words, takes about seven minutes to read, on average. If you can keep someone reading that entire time, they are steadily becoming more invested in what you have to say. If they stay longer, they are more likely to delve into your site, to subscribe, and to join an email list. Those additional minutes can mean the difference between a one-time reader and a long-time customer. Remember that 2012 study? It also found that long-form articles were more likely to have comments and shares than shorter pieces. There’s no one explanation for this, but here is our best guess: As people read (remember, taking that average of seven minutes), they are investing in the content. As they invest, they react. And when you mix deep investment with reaction, you get engagement. And this is solid engagement we’re talking about. The kind that gets retweeted and pinned and shared. Engagement, of course, feeds into conversions, which reinforces your authority, which helps the content to rank, which encourages enaggement…the whole thing feeds itself until you have a self-sustaining ranking machine. So now we have you convinced that long-form is awesome. But the whole thing comes with a caveat. If you do it wrong, you might as well not do it at all. Long-form isn’t like keyword stuffing, that will work for a while before dropping off. Poor quality long-form might as well be invisible. So how can you make sure your long-form content is amazing? There are a few key ways. There are a few types of content you’re probably familiar with. You’ve got your basic how-to, broad overviews, resource posts, etc. But the thing about long posts is that you can’t stick to just one type of post to make them successful. Because of the depth involved, even an article that says, a how-to, will become both an overview and a resource. The same applies in reverse. A broad overview may also become a solid resource and even a light news piece. The reason for this is depth. In longer articles, you need more quality information to fill out the word count, so you have to broaden your horizons. More details, more connections…it all ups your word count and adds context and interest. The practical advice here is don’t shoehorn yourself with long-form content. Start with the basic type you are going for, but be willing to expand into other post types. So, there is some merit to the whole issue of attention spans, but it isn’t the one internet analysts were so worried about. We’ve already shown you that people are more than willing to hang in there for a long post. But that doesn’t mean anyone wants to stare at a massive wall of text. Take a look at how we’ve organized this post. Notice anything? The first is the paragraphs. We keep the paragraphs short, no more than three (maybe four) sentences. This takes advantage of the white space on the page and helps prevent fatigue. The other key is headings and subheadings. They help break everything up and make the text skimmable. Try to keep your subheadings topical, so that your audience gets a good idea of what’s coming next. Even if you’re doing a purely opinion-based think piece, you’ll need to back everything up with data. You can do this one of two ways, and honestly, it’s not a bad idea to include both if you can. The first is through stories. Connecting your concepts to actual people makes them more personal, and helps your audience connect with your content. The other is through definitive numbers. Think studies and analysis. If you can back up your information with evidence and proof that it works, you’ll make yourself more reliable and shareable. For more on creating killer content that drives traffic and conversions, take a look here!